Philip Gray was born in Vancouver, British Columbia in 1983. Philip began carving in 1999 with artist Gerry Sheena. Since then, Philip has worked with artists Mike Dangeli, David Boxley, Henry Green, Lyle Campbell and Ian Reid. He also had the opportunity to study Advanced Design under acclaimed Haida artist, Robert Davidson. Philip works primarily in cedar, alder and boxwood. He creates masks, panels, poles, sculptures and drums. 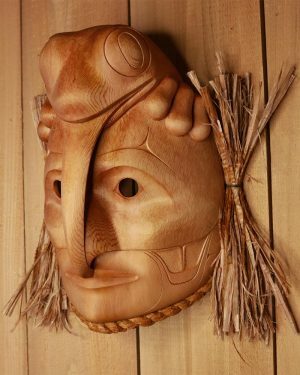 Philip belongs to the Killerwhale Clan and the majority of his works are created in his traditional Tsimshian style. In September of 2003, Philip had three of his pieces donated to the Burke Museum in Seattle. In 2005, Philip was featured in the ‘Changing Hands: Art Without Reservation 2’ exhibit at the Museum of Art and Design in New York. 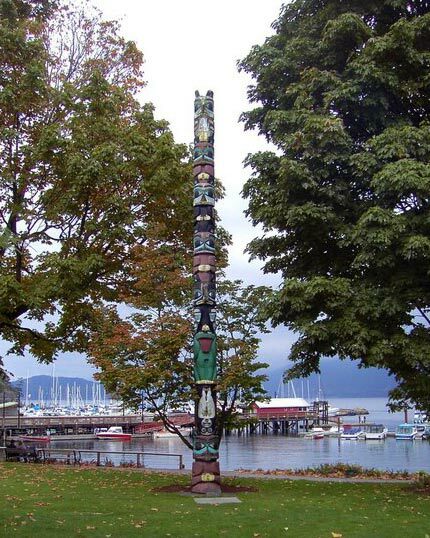 In the winter of 2007, Philip completed a large commission of sculptural works for Sonora Resort on Sonora Island, BC. Beginning in the autumn of 2007, Philip enrolled in the Northwest Coast Jewellery Arts Program at the Native Education College in Vancouver, under Kwakwaka’wakw/Haida artist, Dan Wallace. Philip Gray is a young artist of great focus and promise and very involved in the traditional practices of the Tsimshian people.